Last year, our school councillors visited the Houses of Parliament and were fortunate to enter the House of Lords and the House of Commons. This year we also have quite a few exciting initiatives that we would like to get started and cannot wait for our new cohort of councillors. We have started the election process to elect our new members and the timeline for this year’s election is set out below. Please support your child to understand the importance of this role and the commitment it requires. Class teachers will discuss the school council’s aims and values and the importance of student voice and how Rockmount’s SC has operated in the past – last year’s representatives will be able to help with this. Pupils will also look at the School Council UK’s Class Representative Role Guide. This will give clear guidance as to the expectations of being a school councillor and also help pupils to decide if they want to take on this important responsibility. Parents should support their children to understand these roles. Pupils will have until Friday 14th to self-nominate and add their names to the ballot paper. Each nominee will have a maximum of 3 minutes to present to his/her class. 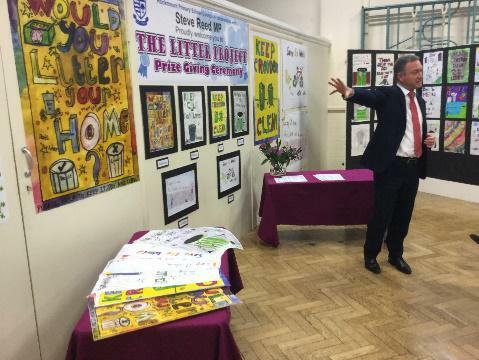 If your child has self-nominated you can support him/her with the speech and presentation about why he/she would be a good school councillor. On Friday 21st September elections will be conducted in classes using secret ballot. Each child will vote for one representative only. Whole school and classroom displays will be updated by adding photographs of the new reps. Please support your child in the preparation of his/her speech and presentation as he/she bids to be a class school councillor. 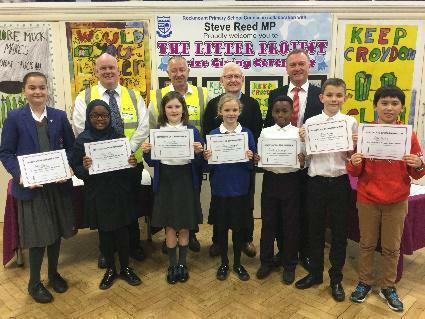 Last year our school councillors worked diligently to ensure that their Litter Project was a success. 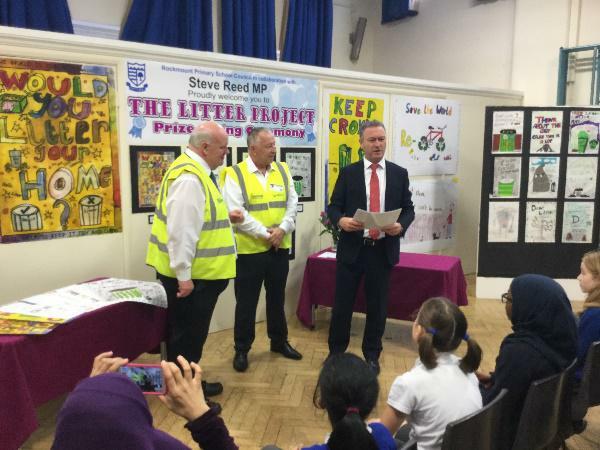 The design of the winning poster was printed and displayed on Veolia’s sanitary vehicles that work in Croydon. 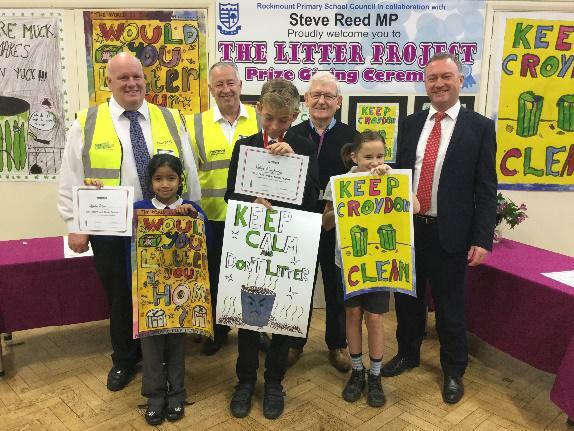 Steve Reed MP, Pat Ryan, our local Councillor and representatives from Veolia announced and presented certificates to the winners of the borough wide competition. 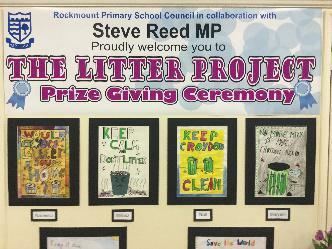 We are very proud of our School Council in their efforts to raise awareness about the litter problem in our community and in making a collaborated effort to take action! Our School Council continues to work on developing our children’s citizenship and democratic values. To reinforce these important core principles our school councillors had the opportunity to visit the Houses of Parliament on Monday 16th January. It was a first time experience for many of our young councillors but proved to be very interesting and informative. In addition to seeing and learning important facts about the history of governance in Great Britain our councillors were also fortunate to enter the House of Lords and the House of Commons.